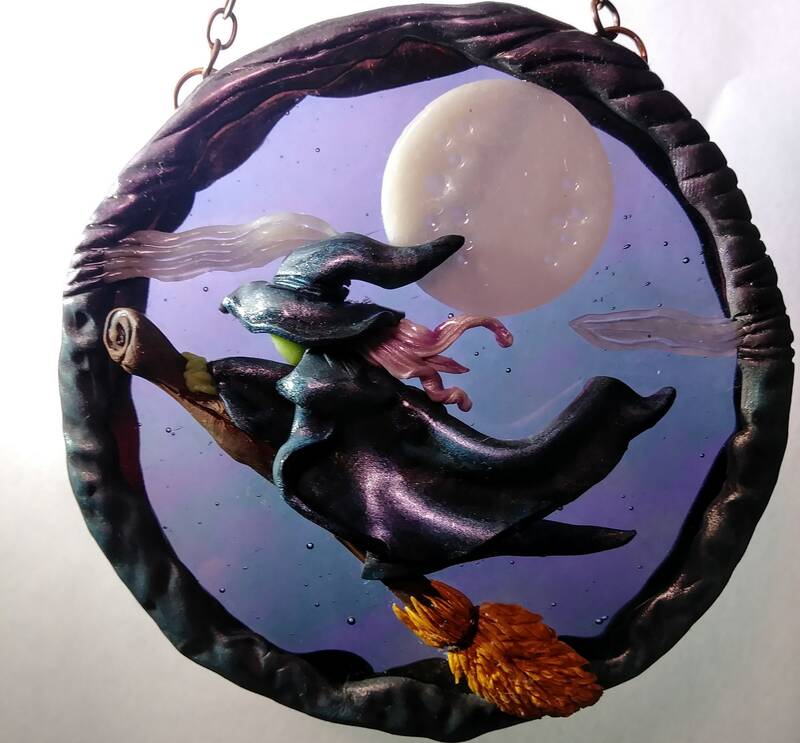 An iridescent grape-purple stained glass is the base for this Witch in Flight. 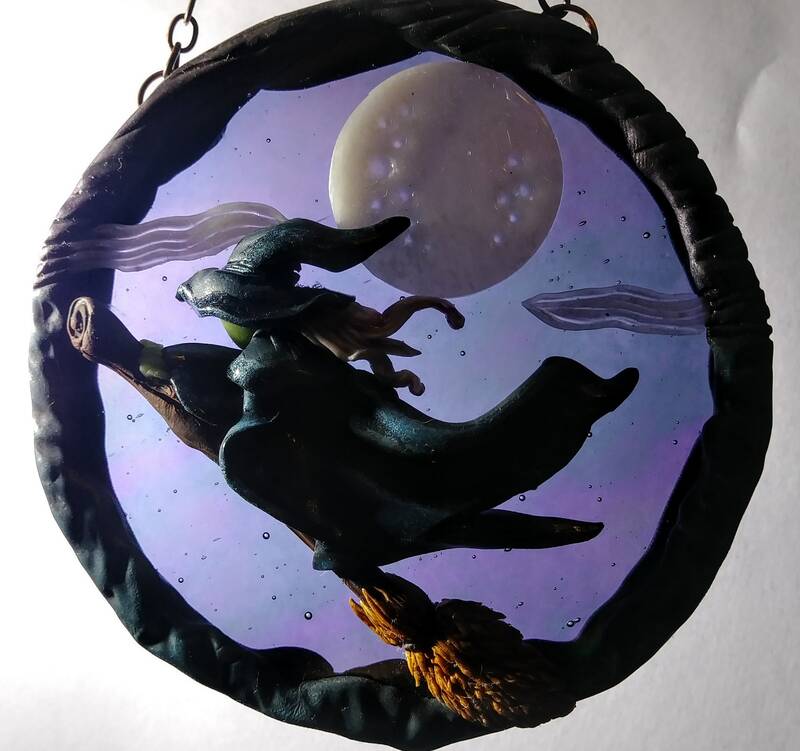 A big floppy hat and robes aplenty, her night ride is captured with a full moon in full glow. She is hand-sculpted from high quality polymer clay and one of a kind. 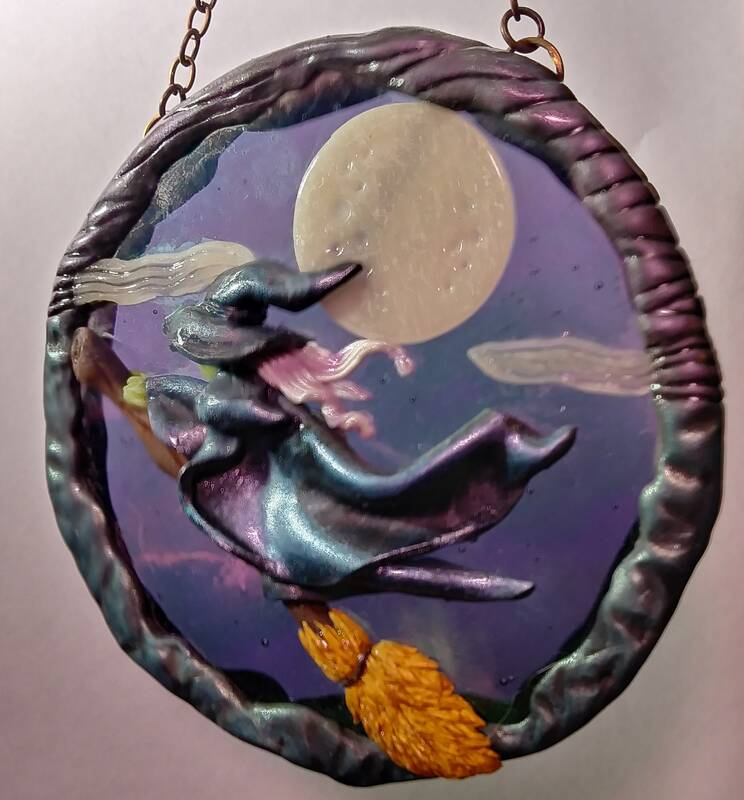 This piece hangs from dark copper chain and is approximately 4 inches round. A perfect gift for your favorite wicked Witch.